'There Are Places I Remember': Is this the first ever film footage of John, Paul, George - and Mike? 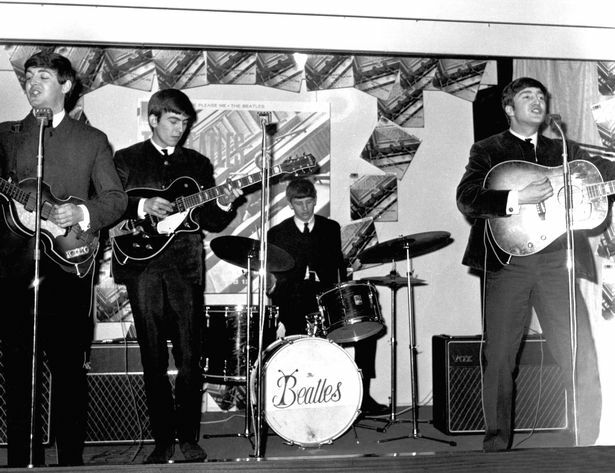 Is this the first ever film footage of John, Paul, George - and Mike? Historian is certain that 1958 film shows future Beatles. Could this be the first piece of film showing future Beatles Paul McCartney, John Lennon and George Harrison, along with Paul’s brother, Mike McCartney? They are on screen for just a couple of seconds – and you can’t make out the tiny figures in the distance – but local historian and Fab Four fan Peter Hodgson, from Kirkby, believes a Liverpool City Police recruitment film from 1958 contains a world first. Peter says: “The film is called Service. The version I found that had been posted on YouTube is dated 1950 but after doing a bit of digging I discovered it was actually made in 1958. The McCartneys’ then home, in Forthlin Road, backed onto the police training centre – and the centre’s annual summer show is featured on the film. 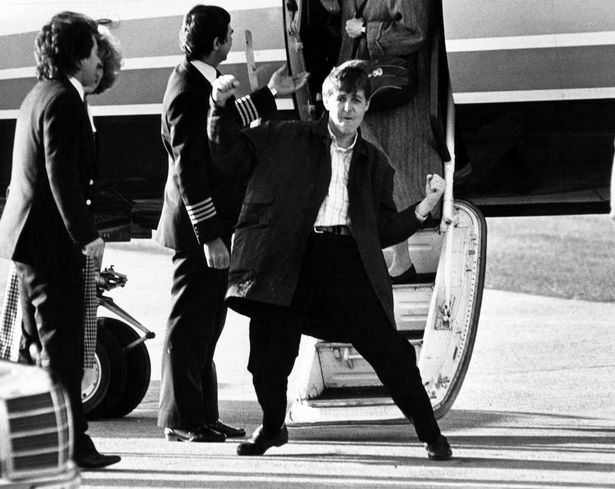 Paul McCartney arrives in Liverpool, at Speke airport. 28th November 1984. John, Paul and George were in The Quarrymen at the time – indeed, on July 12, 1958, The Quarrymen recorded two songs at Phillips Sound Recording Services, a home studio owned and run by Percy F, Phillips at 38 Kensington, Liverpool. 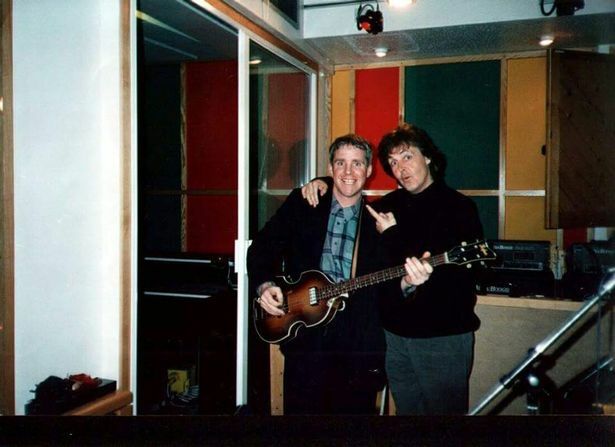 It was the first recording session featuring John, Paul and George. Peter Hodgson says: “I love watching old films about Liverpool on You Tube and I made the connection with Forthlin Road when I saw the Mather Avenue police show footage. Then I worked out which house was the McCartneys’ and thought ‘Bingo!’ I nearly fell off my chair when I saw it. I consulted two local experts, Blue Badge tour guide Jackie Spencer and historian Mark Ashworth – and then I found the information on a Merseyside Police website which confirmed it was 1958.